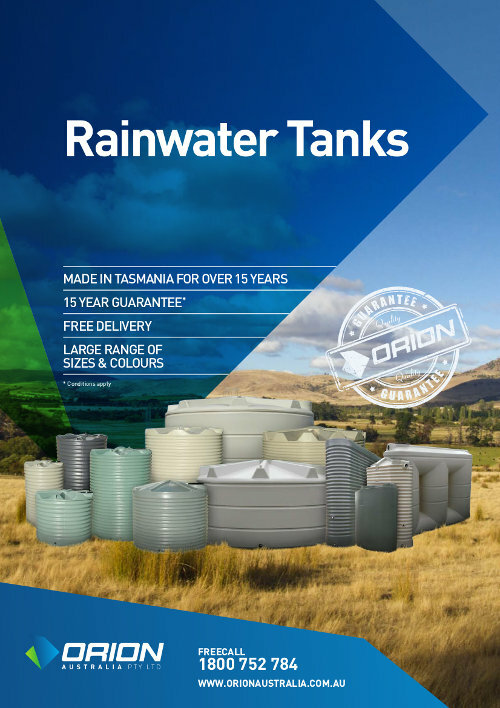 In addition to their role in rainwater conservation, ORION Tanks are aesthetically well designed, to enhance your environment as well as protect it. Manufactured from Food Grade UV stablised polyethylene, which makes them tough, durable and able to withstand the harsh Australian sun. Do not rust or corrode, and are impact resistant - a long term and worthwhile investment. Single piece moulded construction ensures long term structural strength. Tap/valve and fit-up kit supplied with all ORION Rainwater Tanks, to make your install easy. Non standard fit-up and additional outlet options available on request, to suit your particular requirements. Available in 22 colours, with capacity to match existing Colorbond® colours.